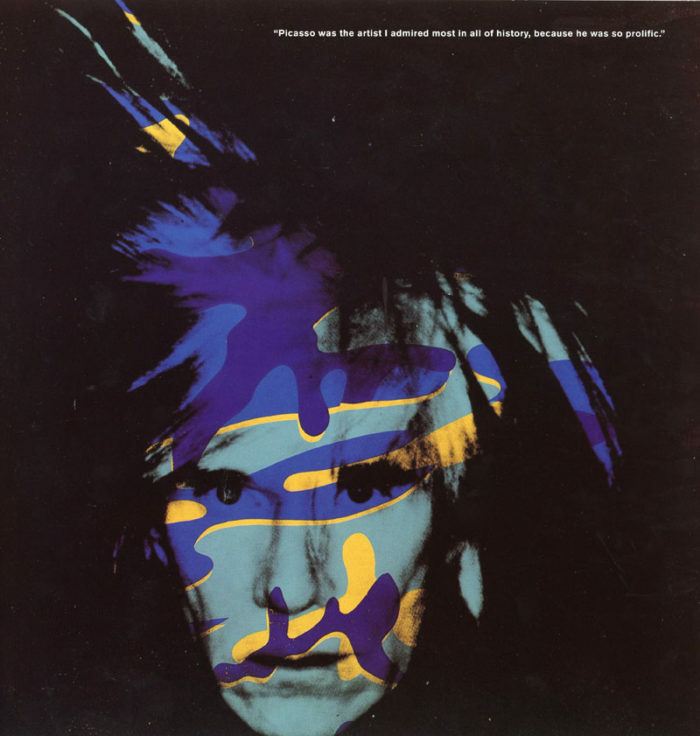 24-page booklet celebrating and introducing The Andy Warhol Museum, a collaborative project of Carnegie Institute, Dia Center for the Arts, and The Andy Warhol Foundation, 1992. 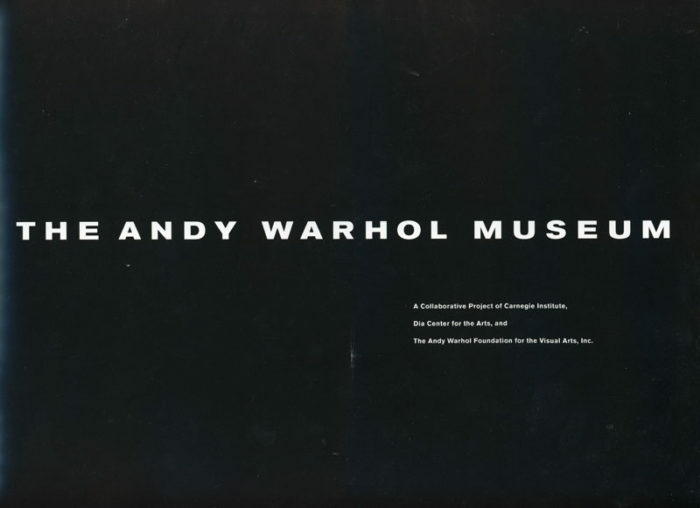 Booklet details the history of the museum and it’s namesake, several full-color images of Warhol’s work, as well as plans for the museum building. 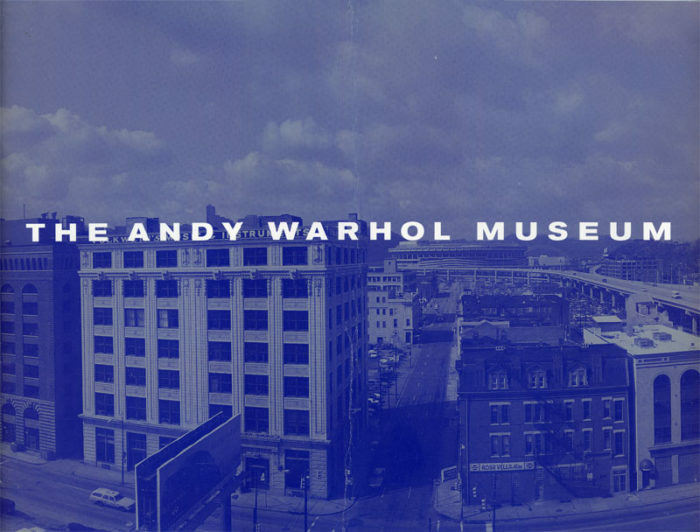 Front of the booklet features a panoramic view of The Andy Warhol Museum building before renovations, 1992. 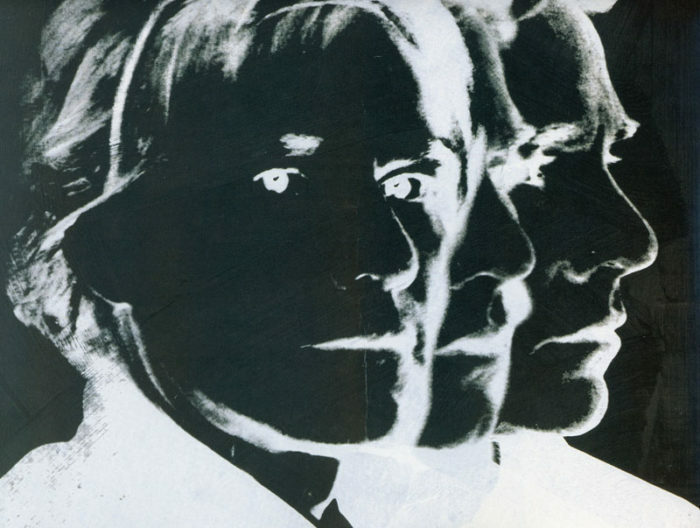 Page 5 detail of Warhol’s Self-Portrait, 1986.